Sometimes we wish we had a magic wand as a parent in getting our children to calm down when their emotions run high. 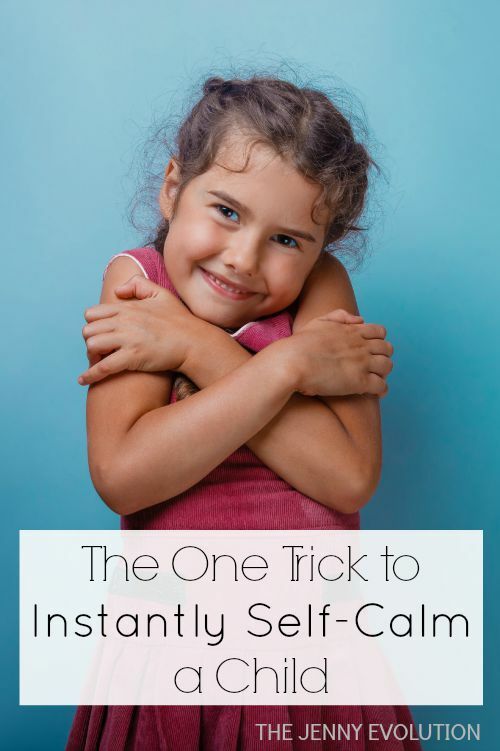 This simple trick presented by Mommy Catharsis at Contemplative Chaos will teach your child how to instantly get themselves to self calm in many situations. This picture look familiar to anyone? It was brand-new to me until last spring when my now four year-old son (Big C) received the diagnosis of ASD and the floodgates opened. Suddenly, I was inundated with cue cards and visuals designed to help us as parents “manage” our son. I’m learning very quickly that parents have very mixed emotions about this kind of stuff. I’ve read blogs where parents are outraged by concepts like “quiet hands” and see techniques such as ABA therapy akin to torture and brainwashing. (I’ll admit I’ve had my share of bad experiences). I’m becoming a quick study and am discovering very quickly that I learn best simply by following the cues of my own kid (crazy concept, huh?) ABA wasn’t for us, but man, does he dig the visuals! An extension of the visual schedule are the use of visual cue cards. His teachers at preschool and daycare use them often, especially during circle time, when he struggles to sit still and focus. Imagine. A four-year old boy who doesn’t want to sit still. All joking aside, while I’m pleased the visual cards are helping him focus, I’m way more concerned with managing his aggression. He’s an emotional little guy, and if he’s mad (and tired) enough, he will hit, throw, kick, scream – even bite on the rare occasion. This is where the “Body Calm” technique has proven effective. Again, for my son. When he starts to escalate, he’s learning to self-regulate, doing as the picture illustrates and wrapping his arms around his chest and taking deep breaths. Does he usually need prompting? Sure. Does it always work Heck no. Just a few weeks ago, I was all in a huff because my husband (who usually does morning drop-off with the boys) had to go into work early. I was stressing trying to pack lunches, book bags and get my two boys out the door before my own job start time of 7:15 am. It totally worked. I busted out laughing, said, “You’re right,” and we did it together. I’m happy to report I had a calm rest of the day thanks to my little life coach. Find more insightful tips in my Voices of Special Needs series! How have your children coached you through life? 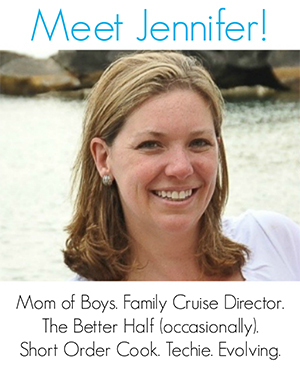 About Mommy Catharsis: In the winter of 2014, her three year-old son was diagnosed with autism. Suddenly, she had a lot to blog about. For about a year, she processed her son’s diagnosis through writing, making invaluable connections with other parents with similar struggles, helping her mature into a better, more self-aware mother in the process. You can find her on Contemplative Chaos. VIsual cue cards and schedules are so beneficial for all young children. It helps them to see what steps are left to complete the process. It can be very helpful during those exact moments you are talking about – morning “rush hour” getting out the door, bedtime routines, etc. They don’t have to be high tech either – just a few sketches, drawings or photos with simple text work great. 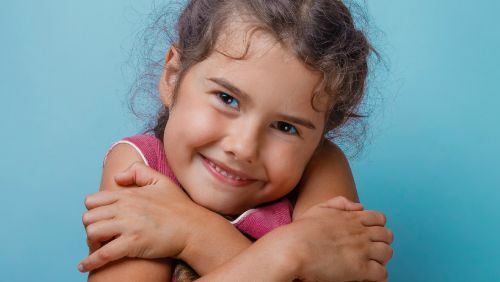 Giving yourself a big hug is a great technique to self calm! Can you please tell me where I can get visual cue cards? I know you can buy them but often people make their own to fit exactly what their child needs. What a lovely post! It’s wonderful that your son is able to help calm himself and to remind you! Love it! You’re right, MC – there is SOOOOOOO much info and momentum toward “fixing” our kids and selves and sure we are ambivalent. But this is so simple and loving. I love that you’re so real about this stuff! Great read! Love this! It’s funny, all the therapists and all the things we’ve tried on my son with ASD and one of the best suggestions we got was to tell him to breathe and then model deep breathing with him. He was two and I thought the suggestion was silly. He began doing it almost immediately with prompting and its been a great tool ever since. He’s five now and needs more tools to help self regulate. I love this and am definitely going to try it. Thanks! Sometimes the simplest methods are the best! Visuals!!! As a teacher, I have seen them work magic as well. I love them so much I made a video to try to help people understand their importance for some kids – with special needs or not. When kids are taught to co-regulate these types of self-regulation becomes so natural to them. They have to learn how to identify their feelings and ask for help. Resiliencey is built on relationships!